SUMMER IN WINTER PARK IS AMAZING! BOOK YOUR MOUNTAIN VACATION HERE! The Rockies in the summertime are amazing, with warm days and plenty of Colorado sunshine!! Come enjoy the best of what Winter Park has to offer and book this amazing home at Trademark, one of the Valley's most prestigious, gated communities. It is located 2 blocks from the base of Winter Park, where in the winter you will enjoy world-class skiing and snowboarding and in the summer...an abundance of recreational activities including hiking, biking, golfing and rafting...just to name a few! After a long day of fun, relax in the hot tub just steps from your front door. The Fraser River Trailhead is a 2-minute walk from the entrance. Upon entering, the first thing you will notice are the floor to ceiling windows that look out over the scenic Fraser River and the Winter Park ski area. This is what vacationing in the Colorado Rockies is all about. While sitting on the large, oversized deck you can listen to the river rushing by, and gaze at the slopes of Winter Park. NOTHING is more relaxing! Keep your eyes open for wildlife...you never know what might run by! The gourmet kitchen features slab granite counter tops and cherry cabinets with plenty of room for cooking or just hanging out with friends and family. Amenities include a coffee maker and coffee grinder, toaster, crockpot, blender and hand mixer. The dining room table has seating for six; an additional four people can sit in barstools at the island. The living room is complete with queen sleeper-sofa and loveseat, as well as a large leather chair and 50' Flatscreen HD-TV with WiFi DVD, and stereo. The King master suite has a large walk-in closet and TV with built-in DVD player. The master bath has a walk-in shower with travertine marble, marble counter top, double sinks and cherry cabinets. The second bedroom has a queen bed and large closet. The third bedroom features two twin over twin bunkbeds for the little ones, and the guest bathroom has a walk-in shower, single sink, marble counter top, cherry cabinets and a built-in blow dryer. For your convenience, there is a stackable washer and dryer tucked away in a closet in the hallway. An ironing board and iron are also provided. A charcoal grill is located on the deck. The shuttle bus that takes you to the base of Winter Park or Downtown stops at the complex entrance. You will also enjoy the heated, one-car attached garage, with space in front for an additional vehicle. Winter Park in the summer is the place to be, and this home at Trademark is where you want to stay for your next vacation experience! We are on the second level with a key activated elevator. The key is available inside the condo. PLEASE, NO PETS AND NO SMOKING! Even as we live in Texas, our hearts are in Colorado. We equally enjoy our time in the summer and winter in Winter Park. The spectacular views and abundance of activities keeps everyone satisfied. So, whether you want some peace and serenity or to burn some calories, this is a fantastic place to do both. There's an excellent selection of restaurants to ensure you have access to quality meals. The kitchen is well stocked and set up with enough room to create a gourmet meal. We hope you'll enjoy our place like we do. Fraser river runs directly behind condo. A beautiful view from windows and balcony. The sound of the river is relaxing. Free in Condo Wireless Internet. A handful of family movies. There is an elevator to our condo. It is on the second level. Inside, the condo is not completely handicapped accessible. My granddaughter did not want to ski, and was able to easily walk back to the condo. The view from the expansive floor to ceiling windows was our favorite feature. The snow cats could be seen in the evenings and the lifts in the day. The fireplace and heated bathroom floors were equally loved. The garage was heated as well. Brian, the owner, was responsive for any questions. We played board games and watched a couple of movies in the evenings. We forgot to take our own knives, as most knives at rentals are not very sharp. There was a sponge but no scrubby for pots. No spices,no sugar, no salt or pepper available, so bring your own. We ran out of toilet paper on our last day and none was found to replace that. Bring some foil for covering things and some baggies. Plenty of dish ware and silverware. Crock pot available. All appliances worked, and pods available for dishwasher. We loved Brian’s condo and would definitely stay again! Thanks for the review. I apologize about the toilet paper and spices situation. We make sure there are spices there and the cleaners are supposed to make sure there is plenty of toilet paper, soaps and paper towels. I will follow up with them. I hope you do rent again and have a great 2019! A great place to stay with amazing views of the mountains. Highly recommend! Our group of seven had plenty of room to spread out. Views were amazing and owner is so friendly and helpful. Would book this condo again. Had an amazing trip. Our only suggestion would to have humidifiers for the bedrooms! Top notch condo with incredible views! The place was wonderful. It was cleaned well and any issues were handled immediately by Brian. Thank you. 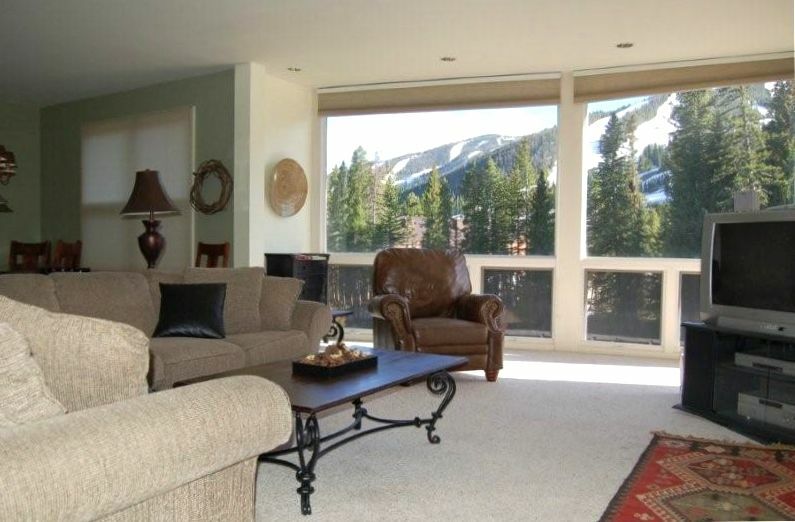 Loved staying at this condo so close to Winter Park Ski Area. The owner is very responsive and acts quickly if there is a concern or problem. Would definitely stay here again. Thanks so much for making our visit to Winter Park so enjoyable. Loved the condo and great access to mountain and view. Beautiful bike trail from condo to downtown Winter Park. It's paved with nature displays and benches along the way. Excellent fishing in beaver ponds and wildlife viewing. I'll send a contract once the payment terms are agreed to.